Isn’t it time you elected to save money? Posted On: November 4th, 2016 Filed Under: Heating, Cooling No Comments on Isn’t it time you elected to save money? Trade in your clunker and save. Fall and winter is a time for family and relaxation—not clanking furnaces, drafty windows, or frigid showers. Now’s the time to adopt an “out with the old, in with the new” policy with our cash for clunkers deal. Heating: Perhaps the most important weapon in your cold-weather arsenal, furnaces, electric air handlers, boilers, ductless heat pumps, and heat pumps are all 20% off. Siding: Siding is your home’s first defense against the elements of winter. Protect it with new vinyl or fiber cement siding. Fireplaces: Is there anything more pleasant than a warm fire in the winter? We didn’t think so. Cozy up to 20% off gas fireplace inserts. Generators: It’s storm season in the Pacific Northwest. A new generator will ensure the power stays on when the wind and rain descend. Windows: Replace those drafty windows to keep the cold air where it should be—outside. Insulation: Old or inefficiently placed insulation can mean colder spaces and higher energy bills. Give us a call to give your home an insulation upgrade at 20% off. Tankless Water Heaters: Who doesn’t love a cold shower on a November morning? Yeah, us either. Tankless water heaters offer unlimited hot water so everyone in the family gets a comfortable shower, even if the dishwasher and washing machine are in full swing. And those aren’t the only deals we’re offering in the month of November. Take advantage of plumbing services, such as a $99 for a drain cleaning or a plumbing inspection. Or receive $500 off a complete home re-pipe. Finally, if you’re hoping to conserve energy and lower your bills, home energy audits are $200 off this month (use promo code “homeaudit”)! November is a big month for our country… and your home. Now is the time to trump your energy bills and save a clin-TON of money with Washington Energy Services. 1. Big color, lots of it. According to Realtor.com, in 2014, bright colors “will be more of a focal point”, and “designers will start featuring vibrant accent walls, main paint colors and flooring” bringing color throughout the house. We liked this trend and put a green wall in our offices which brightens things up for our employees. 2. Retrofit your home for comfort. In Seattle, our customers start with an expectation that the heating, cooling, windows or siding products we present them with will be energy efficient, but will they also improve personal comfort? 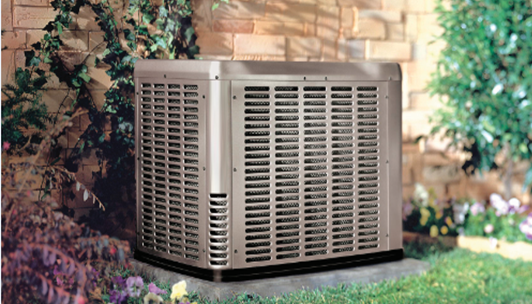 A good example of accomplishing both goals is upgrading to a heat pump (ducted or ductless). Popular elsewhere in the US for many years, heat pumps are a recent energy saving trend in the Northwest. They provide efficient heating plus a comfort bonus of air conditioning, which we do seem to need lately. Another trend we see is people requesting air sealing, which reduces unwanted drafts in the home, saving energy and keeping temps even. 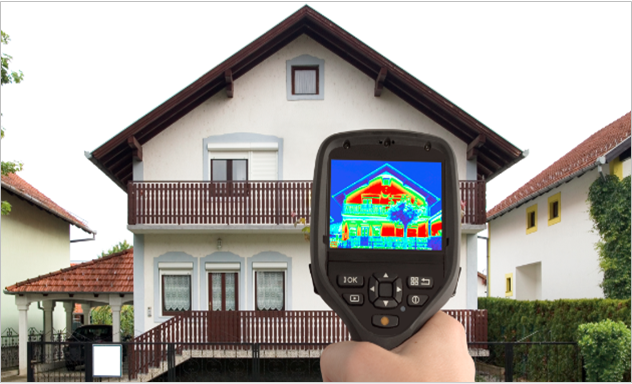 A great way to learn how to cost effectively improve your comfort is with a home energy audit. Audits are not just for energy saving! 3. Redesign outdoor living spaces and incorporate sustainable garden practices. 4. Enjoy your garden longer by canning or pickling it. This “#1 Food trend of 2011”, according to the Food Channel, is still hot, and we mean ‘hot’ as in spicier than ever. Pickles are the ‘artisanal’ treat you can easily make at home. It makes the time, effort and water spent growing veggies in a small plot more rewarding as you’ll enjoy them year round. Beyond the simple cucumber, pickled delights include asparagus, kohlrabi, fennel, beets, mushrooms, and peppers, many made in hot and spicy varieties. A favorite of ours is pickled hatch chili peppers from New Mexico. 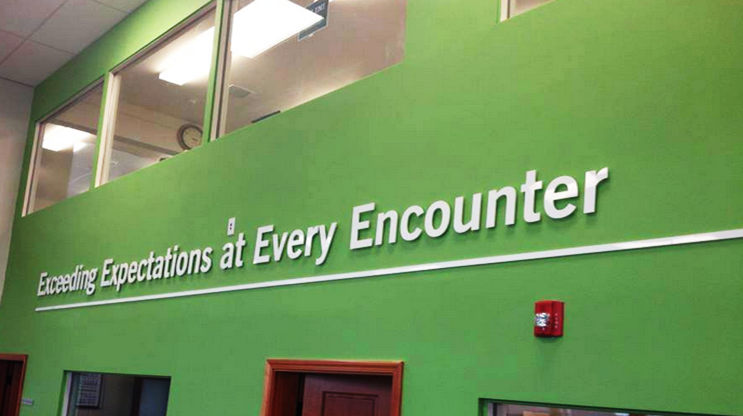 For the more adventurous, this could become a small business. You’ll need pickling spice, salt, jars, a large pot to boil water and put the jars in (a lobster pot is a good size), and you’ll definitely benefit from buying a simple kit that has rubber coated tongs and a basket for getting the jars into and out of the hot water, plus instructions for safe canning. Canning equipment and jars are sold in year round in stores like Fred Meyer, and during the fall season you’ll find them in most supermarkets too. 5. Kitchen remodels are back. 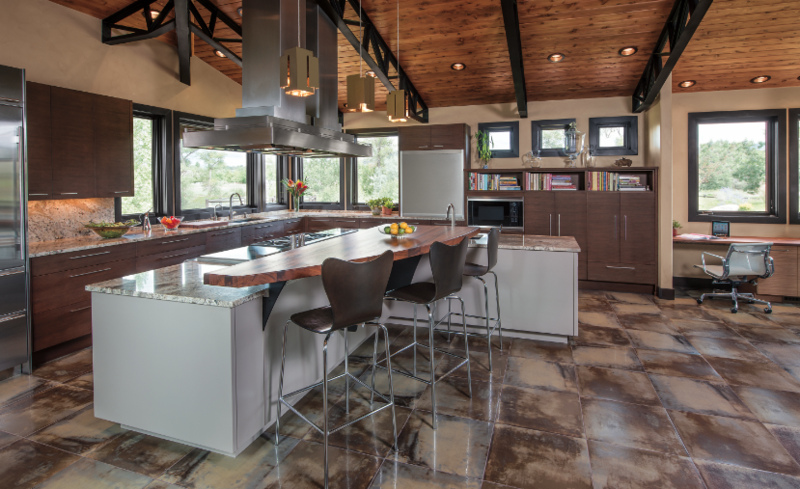 According to Angies list, “2014 homeowners are most interested in making strategic improvements to boost functionality, increase efficiency and take advantage of existing space.” They cite some of the most popular changes in kitchens including opening up the kitchen by removing a wall or partial wall to give a greater feeling of space and to create an island area for comfortable entertaining. Other popular kitchen upgrades include hardwood floors, bamboo floors, and hidden cabinets that recess into the walls. Adding sliding patio doors to provide new ways to connect the kitchen to your outdoor living space can transform the usability of your space. We hope you found some inspiration for your summer home project in this list. For improved home comfort and energy upgrades, call Washington Energy at 800-398-4663. “Why is the upstairs not as cool as the downstairs and what can we do to even it out?“ This has become a popular question as Seattle is having more 80 degree days, and adding air conditioning is getting more common. We custom install AC systems throughout the Puget Sound and have tips to maximize your overall cooling comfort. Northwest houses, even ones built recently, are built with ductwork that supports efficient heating, not cooling. (Many older homes weren’t built with enough ducts even for the heating.) The majority of Northwest homes don’t have sufficient airflow in upper floors of the house for effective cooling. Our ducts aren’t large enough and they are in the wrong spots. It takes a lot of cool air to overcome the heat gain on higher floors. Case in point, your registers are most likely in the floor, because hot air rises through the room. But cold air sinks! So that cold air is fighting gravity to get to you. In southern US homes, where cooling is the major season, their registers are in the ceiling. Many people want to try to even out cooling between floors by shutting the registers downstairs in hope that more cool air goes upstairs. This is not a good idea and does not work. Your system was sized to fit your house based on having those registers open to provide air flow to and from the equipment. Shutting one or two in a whole house is okay, but more than that and you put undue static pressure on the equipment. Said another way, this could damage your coil and greatly shorten the life of your AC equipment. Think of it like driving your car with the parking brake on! home the natural forces will make your upstairs hotter than the downstairs. Cranking the AC will start the process of cooling it down, but the upstairs will take longer because it had a chance to get hotter. Newer air conditioning systems are energy efficient, so the extra electricity used from running it on low during the day vs cranking it up when you get home, will be minimal. And you are giving it a better chance of overcoming the heat gain throughout the house. Insulation will keep the cool air in, and proper sealing and caulking of bathroom fans, windows and balcony doors will keep heat outside. Insulation is a great year round energy saving investment and there are excellent utility rebates to help you do this affordably. Adding a solar attic fan can affordably drop your upstairs a few degrees by pulling cool air upstairs and sending the hot air out of the roof. It will help to even out the temperature in a cost effective way. 4. Add a return air vent to improve system air flow. This is less expensive than new ductwork and may make a small improvement. Keep heat out. Get good blinds, particularly on the south and west sides of the house, and keep them shut during the day. Keep windows closed until evening. Remember that heat will rise, so leaving windows and blinds open downstairs will disproportionately heat the upstairs. For an old Craftsman house where the upstairs has little to no ducting and is too cold in the winter, and too hot in the summer, consider a ductless heat pump for the upstairs, as it will independently heat and cool that area without the need for ductwork. Whatever you choose, Washington Energy Services is Puget Sound’s leading contractor providing tailored home comfort solutions including: energy efficient air conditioning, heat pumps, ductless split systems, insulation and solar attic fans. Are you planning to add air conditioning to your home? Contact us for a free estimate and stay cool this summer. To schedule your systems annual maintenance call us today at 1-800-398-HOME (4663) and check out our Guardian Maintenance options. The Northwest summer is late this year, but when it comes we’ll be scurrying to figure out how to get cool and stay energy efficient too. This month we have ways to cool your house that don’t involve something loud hanging in your window. And a helpful piece about keeping cool by checking your ductwork. If you’re ready to upgrade from your window air conditioner to something better, there are lots of choices. Here are 6 ways you can get cool and some may surprise you. 1. Heat pumps. Heat in the winter and cool in the summer. Ductless heat pumps can offer 25% energy cost savings vs electric heat, and provide air conditioning too. These systems are modular and can be installed to affect one room, or provide whole home heating and cooling. And they are soooo quiet. They’re especially good for old homes where only part of the house has ducting. You’ll get big rebates from most utilities and qualify for federal tax credits. Forced air heat pumps also heat and cool. They cool by moving heat from the inside out. While they might not make your home meat locker cool, the mix of year round use and our mild weather makes them a good choice for the Northwest. Manufacturers say you can save 30% on overall costs to heat / cool your home. Most utilities have rebates. In fact PSE Electric customers who replace their electric furnace with a forced air heat pump can get $1000. Plus federal energy tax credits of up to $300 are available. Hot air rises and attic fans sit on the roof pulling out the hot air. A solar powered attic fan is even more energy efficient. There’s no wiring needed, it installs into your roof with flashing around it. These attic fans are made to withstand our tough weather conditions, even winds up to 170mph, and can be a great cooling solution. These are especially good for multi-story dwellings. While you won’t get as cool as with central air, it will remove heat and lower temperatures in your home. Most people think of insulation as keeping you warm in the winter, like a parka. Insulating and sealing your house will keep heat transfer from happening, whether its heat loss or gain. Insulation can be a cost effective way to get energy savings and keep a bit cooler. If your home is shaded and is cool in the mornings, it will hold that cool longer. Most utilities have generous rebates to get you in the mood to insulate. PSE offers up to $800. Plus federal tax credits of up to $500 are available. In Seattle, Washington Energy Services carries a wide range of energy efficient windows. Take a look. Energy efficient central air conditioning systems keep the whole house comfortable whatever the heat outside. If you have existing ducts, central air could be an easy addition to make. These systems pair well with high efficiency furnaces. Some qualify for federal tax credits. The low tech way to keep your house cool is to keep your blinds and windows closed on the side of the house that the sun is hitting. For cross breeze, open doors or windows that are in shade. Open windows at night to let cool air in. Make sure your ceiling fan blade size is big enough for your room (eg: for 400 sq ft room use a 52” blade span). Fans create wind, they don’t actually cool, but they’ll make it feel 5-10 degrees cooler by making your perspiration evaporate faster. Check out available Utility Rebates and Federal Tax Credits.